According to the International Air Transport Association, an average of 104,000 commercial flights departed every single day in 2018. While the majority of those made it to their final destination without incident, a small number of flights never arrived. In the wake of their disappearance comes a number of questions about the safety of regularly scheduled commercial aircraft. When a flight comes crashing to the ground, some travelers may react with fear and paranoia about boarding their next aircraft. Without a complete knowledge of an aircraft’s history, not knowing the pilots or their motives, and with the constant fear of terrorism around the world, is it still safe to fly? The good news for travelers is that despite the dangers that come with flying, there are still fewer fatalities per flying than other modes of transportation, including driving. According to statistics collected by 1001Crash.com, 370 aircraft accidents took place around the world between 1999 and 2008, accounting for 4,717 fatalities. In that same period of time, the Insurance Institute for Highway Safety reports 419,303 Americans alone were killed as a result of a motor vehicle accident. This represents an 88-to-1 ratio for American auto fatalities to worldwide commercial aircraft fatalities. To better understand where and how commercial aircraft incidents take place, consider all of the commercial aircraft incidents around the world in recent history. The following list breaks down all the fatal commercial aircraft incidents between February 2015 and May 2016, sorted alphabetically by region. Between February 2015 and May 2016, there were three fatal commercial aircraft crashes in or around Africa. The most noteworthy of these was MetroJet Flight 9268, which came down after a mid-air explosion on October 31, 2015. The flight was the only confirmed act of terrorism against a commercial aircraft in 2015, killing all 224 aboard the aircraft. Additional incidents included an Allied Services Limited flight crashing in South Sudan, killing 40 people aboard the aircraft, and the recent Egyptair Flight 804 incident, with all 66 people aboard presumed dead. The Egyptair incident is still under investigation. Between all fatal incidents in Africa, 330 people were killed in three accidents. Of all the areas affected by commercial aircraft incidents, Asia has been most severely affected by commercial aircraft accidents, Between February 2015 and May 2016, the entire region suffered five aircraft accidents, more than anywhere else in the world. The most noteworthy and graphic incident was Transasia Flight 235, caught live on surveillance cameras as the crash took place. A total of 43 people were killed when the ATR-72 crashed into the Keelung River in Taiwan. Other major incidents include Trigana Flight 237, which killed 54 people aboard the aircraft, and Tara Air Flight 193, which killed all 23 aboard their aircraft when it went down in Nepal. Between all five fatal accidents in Asia, a total of 143 people were killed when their aircraft came down. Europe has seen more than their share of aviation-related fatalities in the past two years. Excluding the attack on Malaysia Airlines Flight 17 and the terrorist attacks on the Brussels Airport, two commercial flights went down in Europe between February 2015 and May 2016. Arguably, the most tragic of these incidents was the Germanwings Flight 9525 incident, when an Airbus A320 was deliberately brought down in the French Alps by the pilot. All 150 people aboard the flight were killed after the aircraft crashed. The flight incident led Europe to change many of their aviation safety protocols, including mandating two people stay in the cockpit at all times. The other fatal incident was the crash of FlyDubai Flight 981 when 62 people were killed when the pilots attempted to abort a landing attempt at Rostov-on-Don Airport in Russia. Between both fatal aviation incidents, 212 people were killed in two aircraft accidents over the 16-month time period. In North America, there was only one commercial aircraft accident which resulted in fatalities. However, there were several more incidents that did not result in fatalities. The only commercial airline incident which resulted in fatalities took place in Mexico when an Aeronaves TSM test flight broke up shortly after take-off. Three passengers and two pilots were killed as a result of the incident. Across North America, there were three additional aviation accidents in 2015 that resulted in some injuries, but no fatalities. Delta Air Lines Flight 1086 ultimately collided with a seawall after skidding off a runway during landing in March 2015, resulting in 23 injuries. Later in the same month, Air Canada Flight 624 landed short of the runway, also injuring 23 people aboard the aircraft. Finally, British Airways Flight 2276 encountered 14 injuries, after the passengers evacuated their Boeing 777-200ER aircraft due to an engine fire on takeoff. In the worst case scenario, travel insurance can assist travelers and their families around the world. In the event of a fatal accident, travelers are often covered by common carrier accidental death and dismemberment coverage, in addition to their guaranteed coverage by the Warsaw and Montreal Conventions. In the event a traveler becomes disabled or killed, a travel insurance policy can pay benefits to designated beneficiaries after the incident. In the event of suffering an injury aboard a commercial aircraft, travelers can benefit immediately from medical coverage through their travel insurance policies. When emergency medical treatment or hospitalization is required, travel insurance policies can guarantee payment to a hospital for all required treatments. Certain insurance policies can also fly loved ones to a country for an emergency reunion, evacuate minors and dependents to another country, or pay for an air ambulance from the hospital to home. Before taking the next trip, be sure to check with the travel insurance provider to ensure coverage levels. In the grand span of time, travelers encounter more risk on the ground instead of in the air. 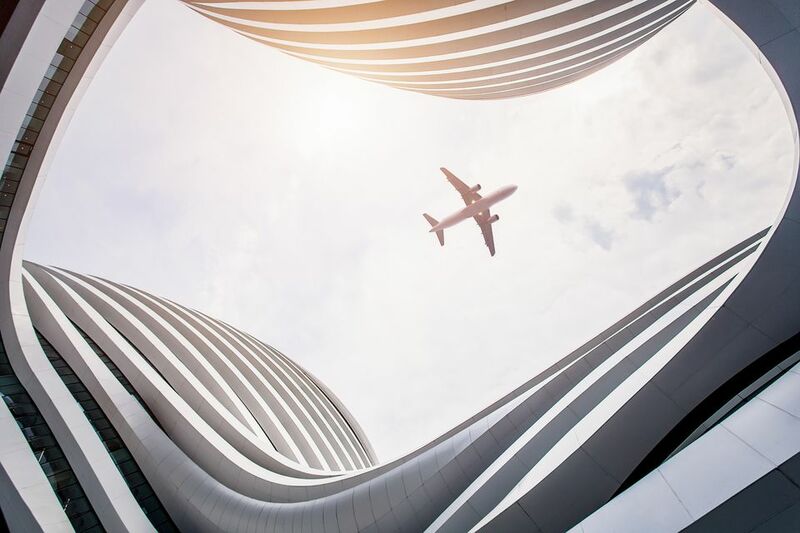 By understanding the low numbers of aviation incidents around the world, travelers can take control of their fears and better enjoy their next international flights. Can You Catch Tuberculosis on Your Airplane Trip? Selfies are more dangerous than sharks?